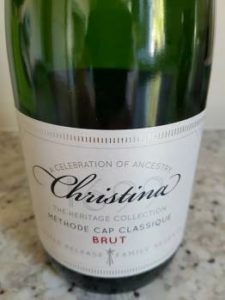 So what to make of Robertson producer Van Loveren’s Christina van Loveren Brut Limited Release NV, which along with the Prestige Cuvee Monro Brut 2009 from Villiera, were the only two examples of Méthode Cap Classique to win double gold at this year’s Veritas Awards? A blend of 93% Chardonnay and 7% Pinot Noir, it spent 12 months on the lees before disgorgement. On the nose, some blossom, citrus and some attractive yeasty character. The palate is rich but balanced, the acidity nicely integrated, the mousse suitably creamy. In short, textbook stuff. Price: R644 per six-bottle case (the equivalent of R107.33 a bottle).